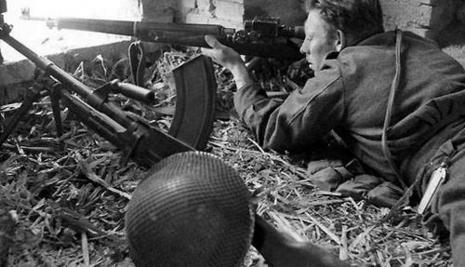 The Canadians faced elements of the renowned German 1st Parachute Division. These soldiers were battle-hardened after many years of war, and were ordered by Hitler to defend Ortona at any cost. The initial Canadian attack on the town was made on December 20 by Canadian 2nd Brigade's Loyal Edmonton Regiment with elements of the Seaforth Highlanders of Canada under command. Meanwhile elements of the division's 3rd Infantry Brigade launched a northerly attack to the west of the town in attempt to outflank and cut off the town's rear communications but made slow progress because of the difficult terrain and the skilful and determined German defence. 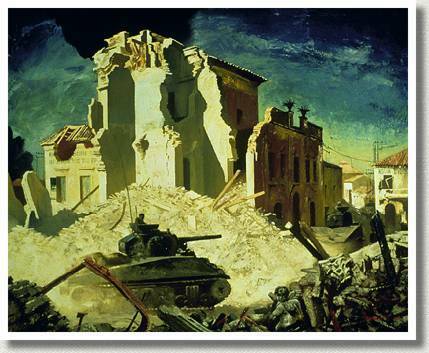 In the town itself, the Germans had placed various barricades and left rubble strewn throughout the narrow side streets surrounding the Piazza Municipale. 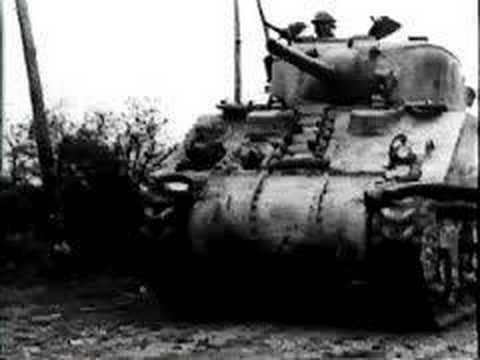 The only available route for the Canadian tanks was through the Corso Vittorio Emanuele, which was heavily mined and trapped; traps would serve the Germans with deadly efficiency during the eight days of fighting. The Germans also concealed various machine guns and anti-tank emplacements throughout the town, making movement by armour and infantry increasingly difficult. The house to house fighting was vicious and the Canadians made use of a new tactic: "mouse-holing". 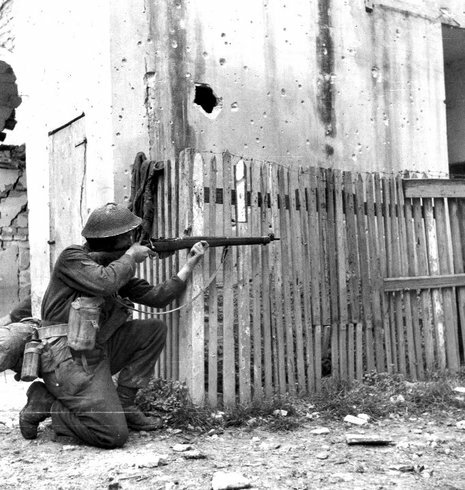 This tactic involved using weapons such as the PIAT (or even cumbersome anti-tank guns) to breach the walls of a building, as houses within Ortona shared adjoining walls. The soldiers would then throw in grenades and assault through the mouse holes, clearing the top floors and making their way down, where both adversaries struggled in repeated close-quarters combat. Mouse-holing was also used to pierce through walls into adjoining rooms, sometimes catching enemy troops by surprise. The tactic would be used repeatedly as assaulting through the streets inflicted heavy casualties on Canadian troops. Later, in a particularly deadly incident, German Fallschirmjäger engineer Karl Bayerlein demolished an entire house packed with Canadian soldiers; only one soldier survived. The Canadians retaliated by demolishing another building on top of two German squads, killing them all. After six days of intense combat, 2nd Brigade's third battalion, Princess Patricia's Canadian Light Infantry, joined the battle together with tanks from 1st Canadian Armoured Brigade's Three Rivers Regiment (Régiment de Trois-Rivières). On December 28, after eight days of fighting, the depleted German troops, who lacked reinforcements, finally withdrew from the town. 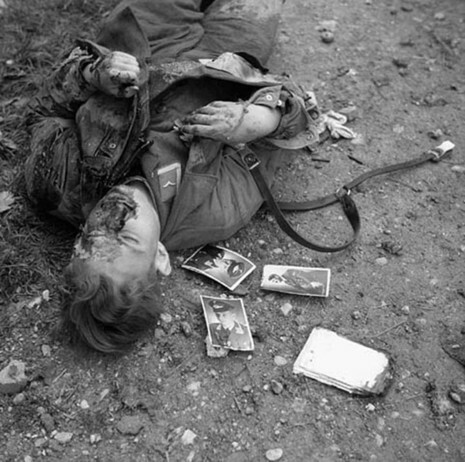 The Canadians suffered 1,375 dead in the fighting in and around Ortona, almost a quarter of all Canadians killed during the Italian Campaign. The Canadians faced a unit from the German 1st Parachute Division. These soldiers were battle-hardened after years of war, and were ordered by Hitler to defend Ortona at any cost. 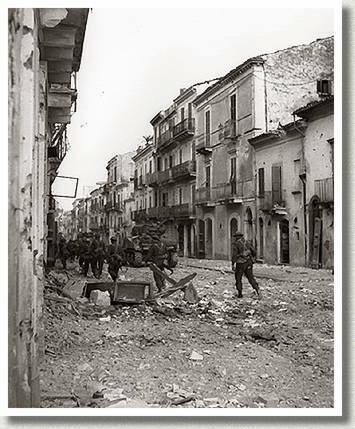 The Germans had placed various barricades and left rubble strewn throughout the narrow side streets surrounding the Piazza Municipale. The only available route for the Canadian tanks was through the Corso Vittorio, which was booby trapped; traps would serve the Germans with deadly efficiency during the eight days of bitter fighting. The Germans also concealed various machine guns and anti-tank emplacements throughout the town, making virtually any street a death trap to the advancing Canadians.